ANNOUNCING A NEW PARTNER — For more than fifty years, the MFA Writing Program at UNC Greensboro has published The Greensboro Review. The journal began in 1966, when students in the first years of the MFA wanted a place to publish their creative work. With $500 from the Chancellor—“an amount that hardly covered the cost of printing 500 copies,” according to Robert Watson, poet and co-founder of the MFA program—students and faculty used the campus duplicating shop to print the debut issue, then collated it by hand. Greensboro painter Betty Watson designed the logo that is still in use today. The mission of the journal quickly shifted from “a house organ for our MFA students,” and the Review began to publish writers like Ezra Pound and Joyce Carol Oates. But as longtime editor Jim Clark described, “the GR has always taken the most joy in publishing work by new writers at the beginning of their careers, and we are proud to include in this group such writers as Lewis Nordan, Yusef Komunyakaa, William Matthews, Alan Shapiro, Charles Simic, and Dave Smith.” In 1984, the GR established its Literary Awards thanks to an anonymous donor, and these prizes led to a more global following. Works from the journal are consistently included in the Pushcart Prize anthologies, Best American Short Stories, the O. Henry Awards, New Stories from the South, and other collections honoring the finest writing by both established and emerging voices. Today, the GR continues to be faculty- and student-run, and our editors regularly showcase writers whose work may be risk-taking or overlooked. 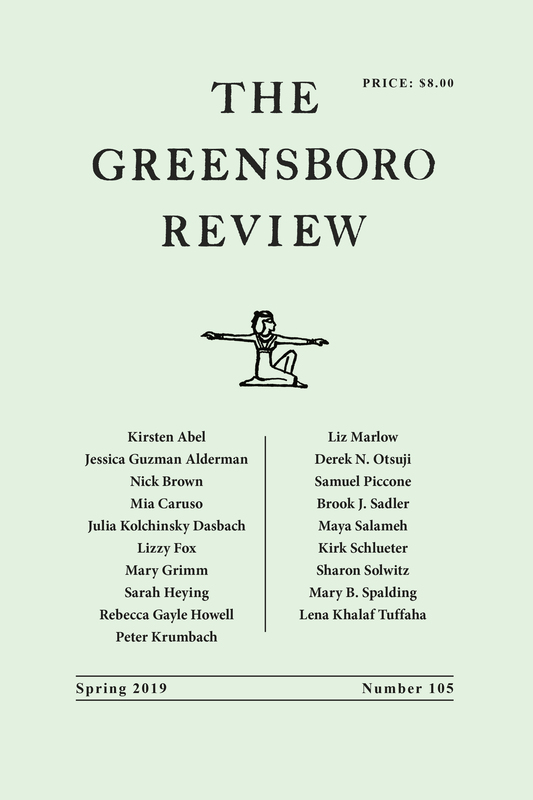 The Greensboro Review is a proud member of the Community of Literary Magazines and Presses. For submission guidelines go to the Greensboro Review Submittable page.